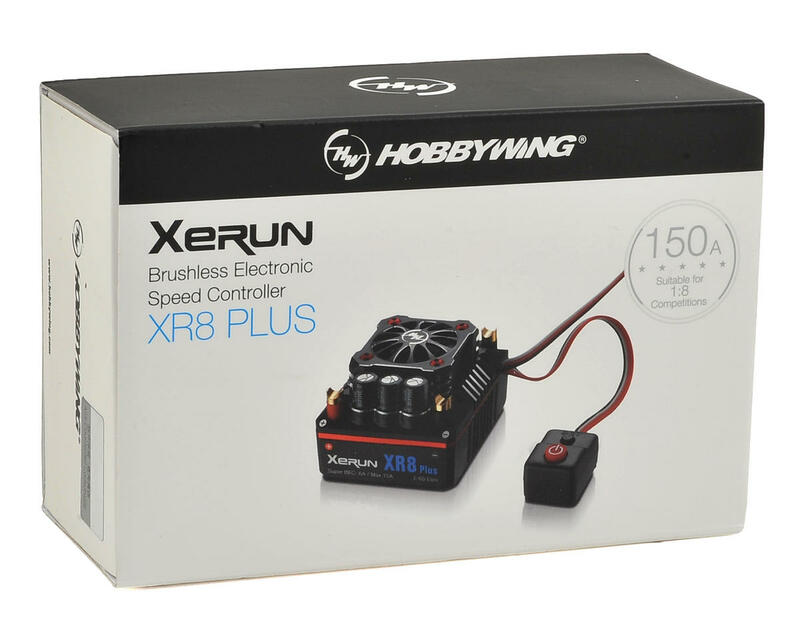 Hobbywing's Xerun XR8 Plus was developed to deliver unmatched power, performance and reliability for demanding 1/8 scale racing applications. Built with high quality components and loaded with cutting edge firmware, the XR8 Plus is responsive enough to protect itself from damage due to abuse, overuse, or even human error. With it's incredible power output and adjustable parameters, the XR8 Plus will deliver the smooth throttle response and linear throttle/brake qualities that discriminating drivers demand. 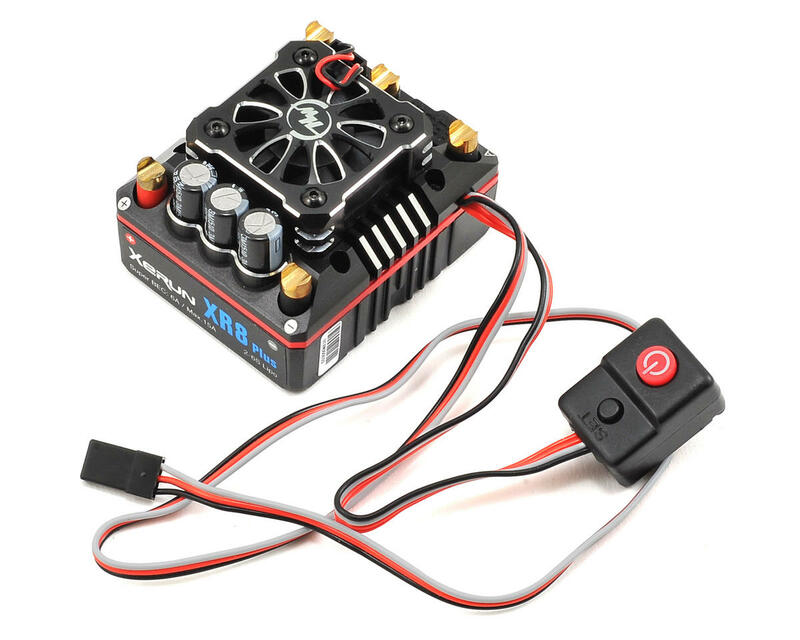 I use the Hobbywing Xerun XR8 Plus ESC in my Axial Yeti running a 3S battery and 3500Kv 550 4-pole sensored motor and I am very pleased with it! I especially like the high voltage and high amperage BEC and programmable features (program card required). The only downside is it's size. It's a bit big, but should do fine in any 1/8th scale application. I use this esc in my Scorpion XXL with a Leopard 4282v2 2200kv on 4S and it never misses a beat. Awesome esc! It does everything it suppose to do. With the G2 combo, you have full sensored. No cogging at low RPM. High quality, fair price ESC. Holds up to the abuse of 1/8 scale racing. 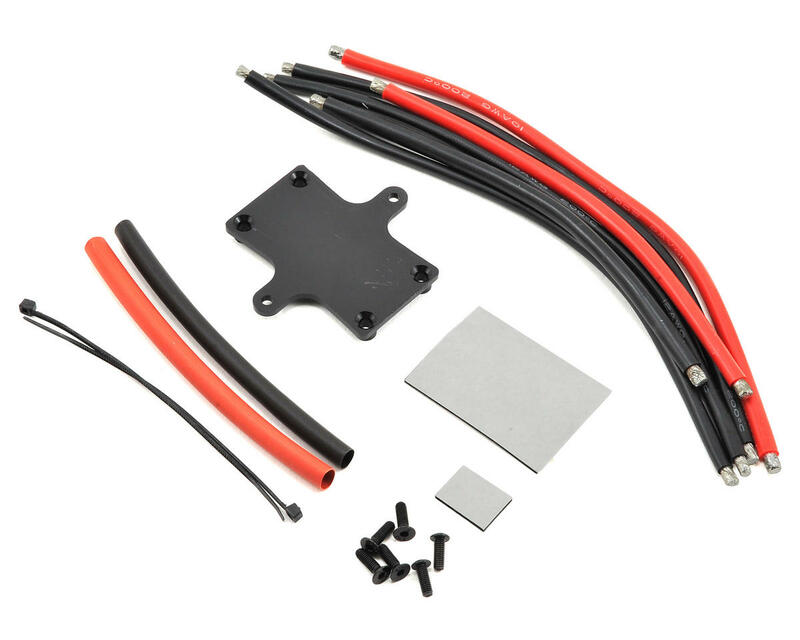 I have to say i have been very pleased with hobbywings products in the past useing them in my aircraft and rc crawlers i recently completed an axial Yeti XL so naturally hobbywing was my first choice i wanted a sensored rig which is important for slow precise movement while crawling. So i ordered this unit. Installed it easy to program although i had to order there lcd programing box seperate because it can only be programed with that specific box. I would have been nice to know i needed that it should be in the description above.. it has been raining alot in california and i decided to take the yeti xl out for some puddle plowing. After a few puddles esc started tweaking out and refused to turn on. I took it home dry truck upside down and gave it some light work with compressed air and it works fine again. After reading over hobbywings website i was mislead the switch is a water proof design this ESC is NOT WATERPROOF. I suppose if my research was a little more diligent i would have discovered this before ordering. But i gotta say i am dissapointed and i feel a little deceived. Its kinda silly that there top if the line model is NOT WATERPROOF. 0 of 16 customers found this review helpful.